The healthcare industry has changed tremendously as patients have evolved. They’ve become more discerning and empowered, seeking providers that not only deliver on price but on the overall experience. Patient experience has become the differentiator. Most healthcare websites, however, fail to deliver. Tempus’ goal is for each patient to benefit from the treatment of others who came before. Starting with cancer, they have built the world’s largest library of clinical and molecular data and an operating system to make it accessible and useful. An untraditional project called for a untraditional process. Tempus came to us with a unique challenge: they had designs from their internal design team, but needed Clique’s expertise to help their vision translate into digital dimensions and functional development. 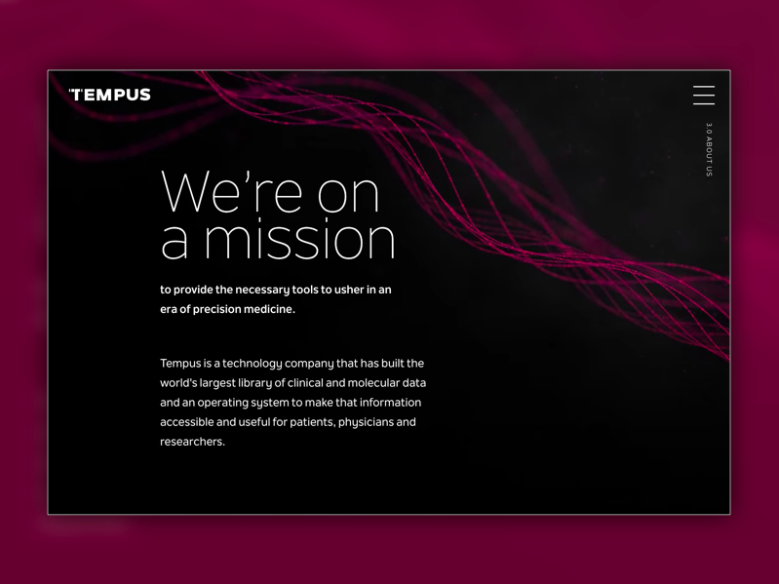 In addition, the project had a tight timeline: Tempus wanted to launch it at the largest clinical oncology conference in the world, hosted by The American Society of Clinical Oncology. In short, we had an experience to create: Tempus had the blueprint, and we had the builders. A trusting partnership and collaborative design lead to a powerful platform. Working with Tempus’ designers at every phase to ensure a true translation, our design team made responsive designs for our development team to engineer. Together, we built an experience to embody their vision, mission, and goals. The result is a platform with an integrated API to allow for seamless management, on-page SEO and migrated content to improve search results, and custom designs throughout the experience (custom gene panels, hospital network map, etc.) to make the presentation worthy of the work itself. Osteopathic.org is the member website for the American Osteopathic Association, the certifying organization for all osteopathic physicians. 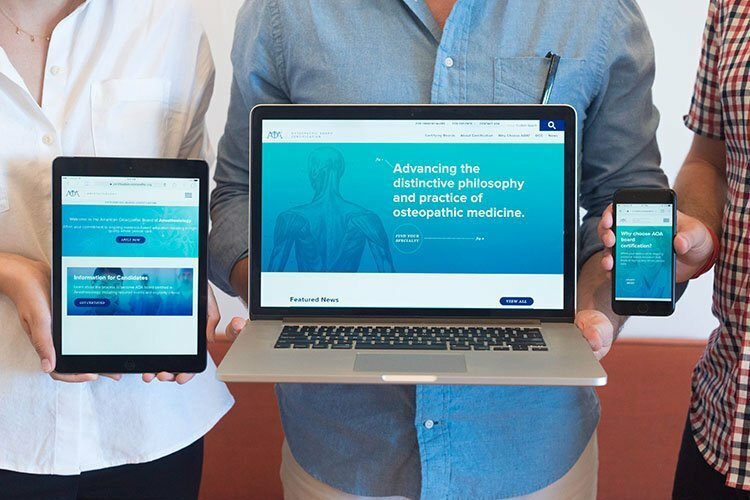 After successfully launching the AOA’s certification websites, they returned to Clique in need of a market research project to set the stage for a redesign of osteopathic.org. The engagement was designed to ultimately enhance the user flows and information architecture of the site, thus improving the overall experience. 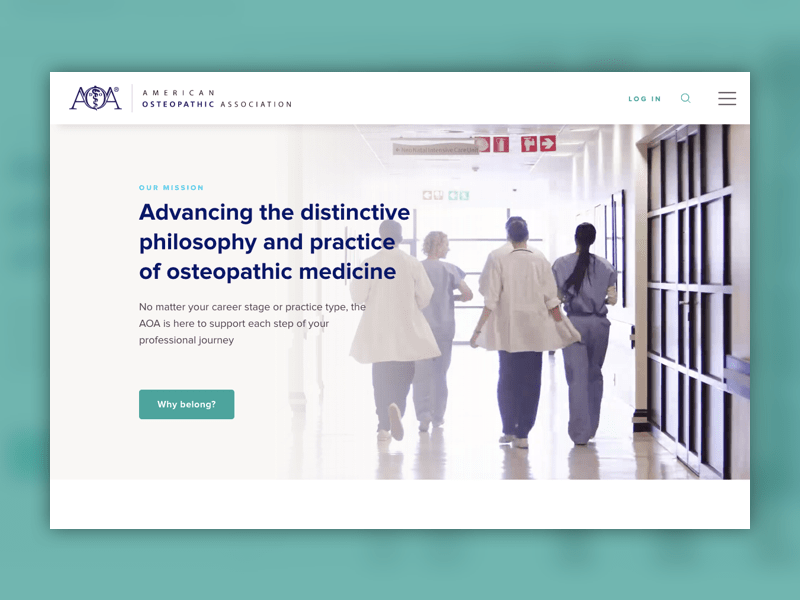 We took a deep dive into how current members, prospective members, internal audiences, and external audiences all interact with osteopathic.org. Through user interviews, UX & SEO analyses, persona creation and journey mapping, our team compiled our findings to create a new, well-informed site structure for their new website, which we then designed and built. See how we improved the IA and UX of the site but going directly to the source: the users. The American Osteopathic Association is dedicated to advancing the distinctive philosophy and practice of osteopathic medicine. They serve as the certifying organization for all 27 boards of osteopathic specialties. Previously, this entailed having 27 different websites, without strong user experiences. Clique came onboard to create a main website to house all 27 boards, serving as the jumping off point for students looking to find out what specialty to go into. We then designed a universal template for all 27 boards to have designated websites, but with a unified presentation and a strong connection back to the main site. This is just one of several ongoing projects Clique is working on with the AOA. We’re so excited to continue this relationship and keep doing good work with them. 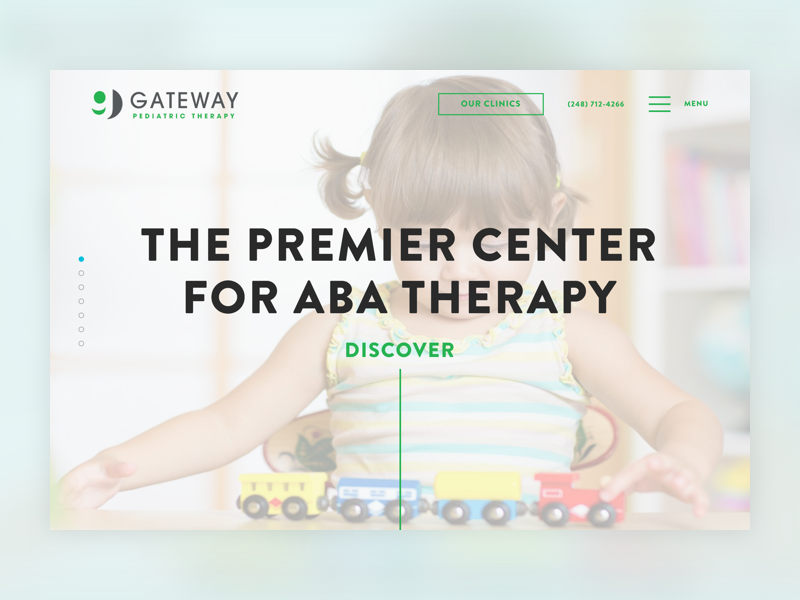 Gateway is the premier center for ABA therapy in Michigan. Their expert team of therapists, innovative technology, and quality facilities have enabled the organization to offer best-in-class treatment and intervention services for families.Gateway came to Clique in need of a new site to support their rapid growth. 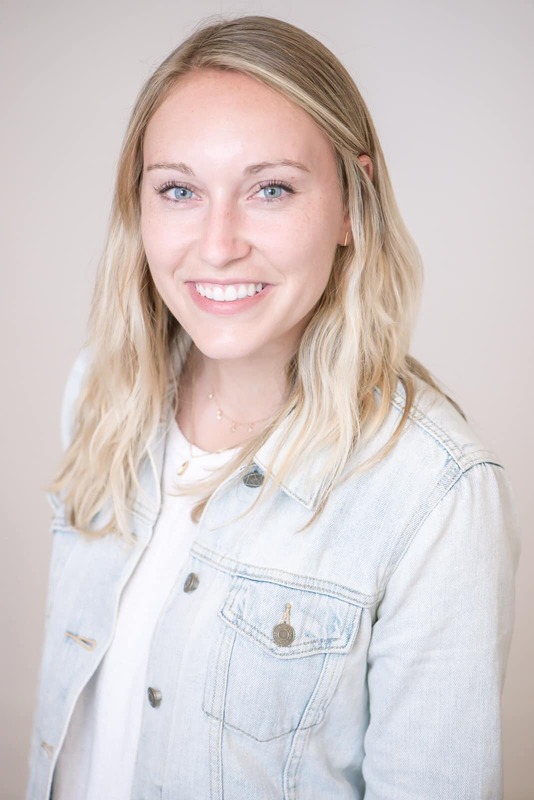 Clique was able to elevate their brand through a newly designed website, as well as support their growth by building a site to allow for flexibility as the organization opened new clinics and hired more staff. Your website design needs to match the changing healthcare landscape. The patient experience extends online. Your website is your opportunity to create the best experience possible. Your patients are more involved in their healthcare choices than ever. You have the strategic opportunity to engage them at every turn, generating more leads and enhancing the patient experience through a strong online presence. Click here to build your website patient-first.